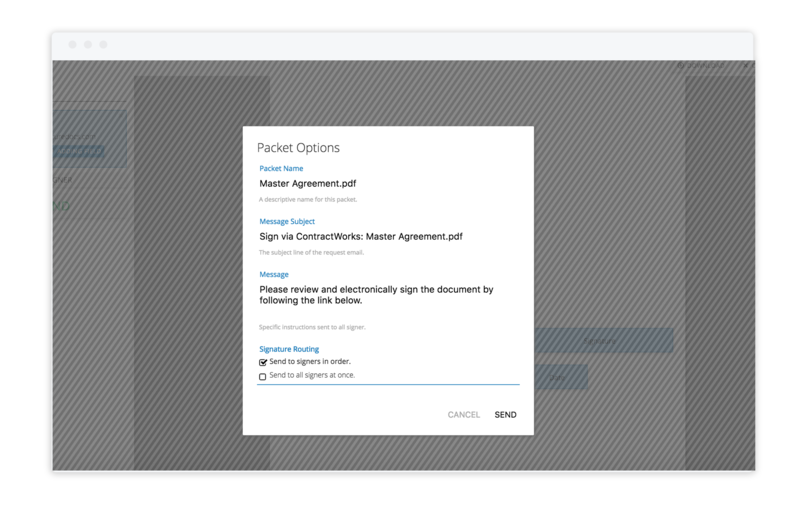 ContractWorks now offers built-in electronic signature for quick online contract signing. 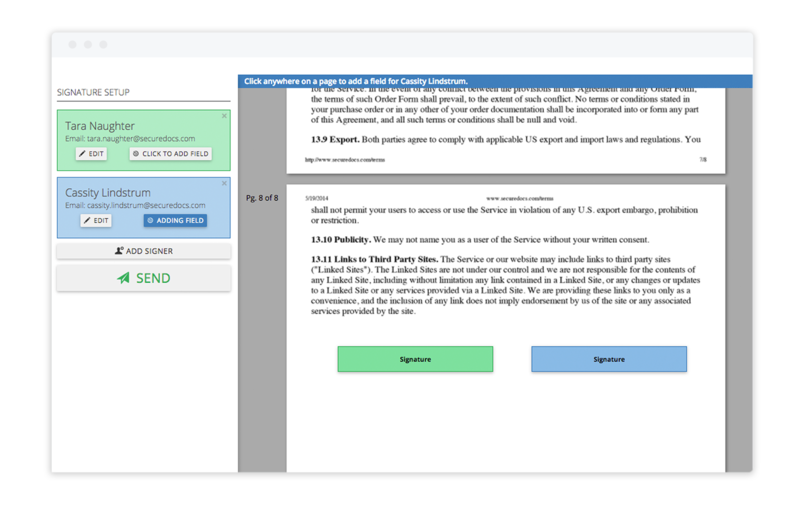 ContractWorks’ e-signature feature is quick, simple, and is built to comply with the ESIGN Act and individual state regulations. Our electronic signature feature is built-in, eliminating the need to spend time configuring an API. 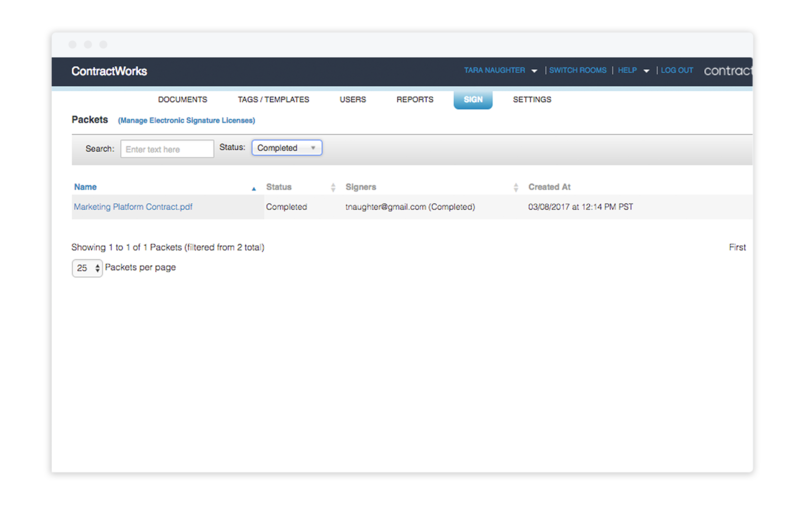 Setting up documents for signature is a simple, intuitive process that can be done inside of ContractWorks. Recipients receive an email with a link to the signature document and clear instructions on how to sign- no emailing, faxing, or printing involved. Understanding the status of documents out for signature and filing signed documents has been made easy. Simple, visual cues as well as detailed audit reporting on documents out for signature. Completed, signed documents will be automatically filed into your ContractWorks system. No more downloading or lost contracts. 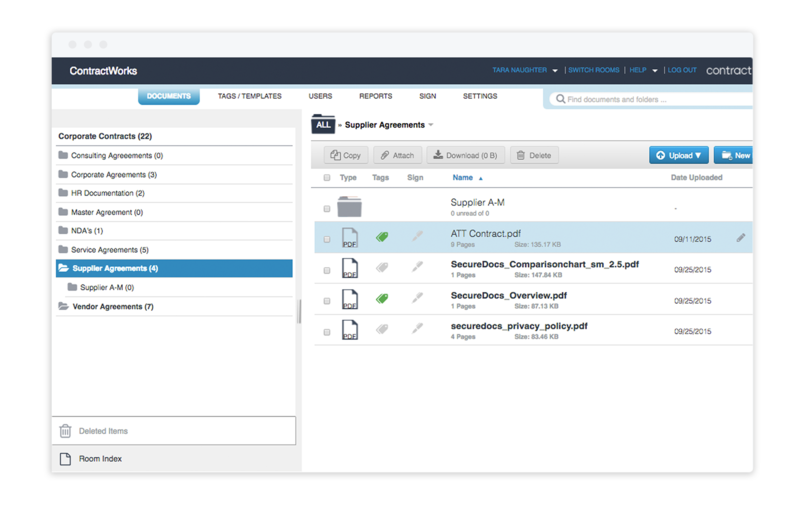 Manage different users or departments, such as sales teams, through folder-based permissions. ContractWorks' electronic signature feature is built to comply with the ESIGN Act and individual state regulations. ContractWorks is $600/month for unlimited users and unlimited documents. 24/7 support and data migration are included at no additional charge. No surprises.